Because of that, it’s no surprise that they’ve popped up in countless films and TV shows, especially anything animated, as well as commercials. If it features talking animals, there’s bound to be a bunny. Just look at all the commercial spokesbunnies, like for Cadbury, Energizer, Nesquik, and Trix. I must also mention the many movies I haven’t seen that nonetheless have a rabbit in the title, such as White Rabbit, Rabbit-Proof Fence, The Rabbit Trap, The Velveteen Rabbit, Get to Know Your Rabbit, The Nasty Rabbit, Bunny Drop, The House Bunny,The Brown Bunny, and Looking for the Jackalope, as well as Rabbit Hole, which is a great movie but has nothing to do with actual rabbits. Thus, here are my Top Twelve rabbits of the silver screen, some cute and funny, some not so much. Let’s hop along, shall we? 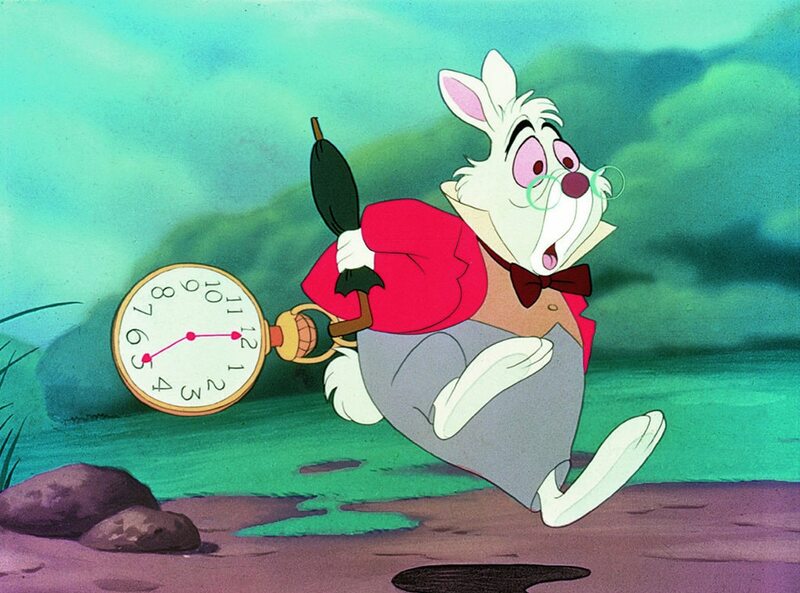 Whether it’s Disney’s original 1953 classic or Tim Burton’s dreadful remake, Alice in Wonderland has the distinction of having two separate rabbit characters, the clock-watching White Rabbit and the March Hare. Lewis Carroll must have been partial to lagomorphs too. Aardman Animation does love their clay rabbits, so much that they featured prominently in the Oscar-winning Wallace and Gromit movie. After experimenting to take away a pesky rabbit’s carrot cravings, Wallace is imbued with them himself and transforms into the giant were-rabbit. I actually haven’t seen the whole thing, but Night of the Lepus stands as one of the stupidest monster movie ideas in recorded history. (How could giant rabbits carry a movie, come on! Wait, what was #10 about again?) Granted, rabbits can be a considerable threat in high enough numbers, or big enough size in this case, but the effects are just laughable. This is the kind of movie that was made for Mystery Science Theater 3000 because it’s just so easy to mock, and the rabbits are everywhere. The rabbit died. Why did the rabbit have to die? Darn you, Glenn Close, you bunny boiler! It’s not the first bunny death on this list, but it’s one of the most memorably disturbing. Still one of the most unique films ever made, Who Framed Roger Rabbit? has a rabbit both in the name and as a main character. I can’t help but wonder what this film’s mix of live-action and animation might look like if it were made today. I think Judy Hopps is one of Disney’s most admirable characters, a starry-eyed bunny unafraid to challenge the system and take on the complexities of police work in the big city. Like I said, if there are talking animals, there’s probably a prominent bunny. Haven’t we all wished to see man-sized imaginary rabbits and discover they’re not imaginary? No, well, me neither. 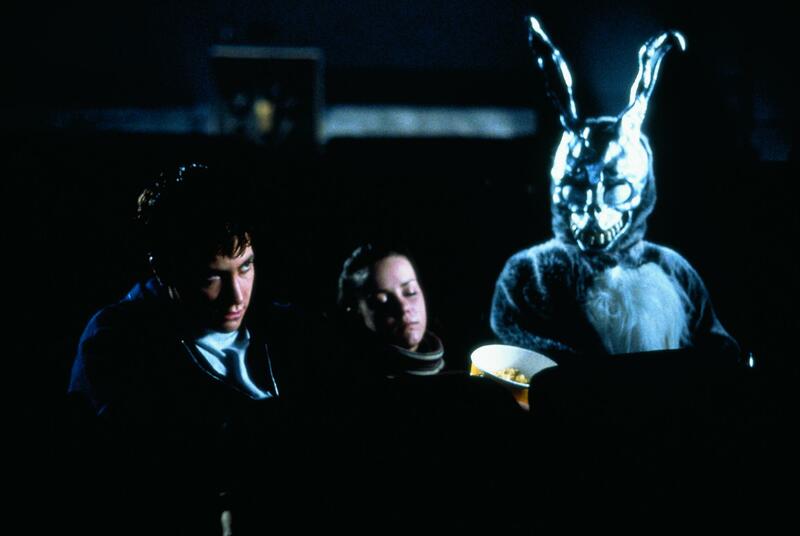 Yet that’s the case in both Harvey and Donnie Darko, the former a charming tale of positive thinking with Jimmy Stewart, the latter a dark mind challenge with Jake Gyllenhaal. I know one’s a pooka and the other’s a dead guy in a rabbit suit, but I couldn’t resist the comparison. I rest my case again. Exemplifying the cute bunny image we all received at an early age, Thumper is adorable with that vibrating foot of his. I had to mention the most iconic rabbit of them all, though his presence mainly qualifies due to the two films that blended live-action with animation, much like #6. Silly as all get-out, Space Jam is a fond piece of my childhood and introduced Bugs’ crush Lola Bunny, while Looney Tunes: Back in Action is similarly off-the-wall fun, giving Bugs one of the funniest Psycho parodies ever. For a general rabbit list, Bugs would come out on top, but for a rabbit movie list, Watership Down takes the carrot cake because, well, almost every character is a rabbit. I made a distinction in my review that this is very much a film about rabbits, not bunnies, since it includes some shocking violence you don’t normally see in children’s animation. Even so, it’s a great film from start to tearjerking finish, and the most rabbit-centric movie you’ll ever watch. Bedknobs and Broomsticks – Angela Lansbury turns a boy into a rabbit to prove her magic. Boundin’ – Pixar short with a jackalope. Bunny – Oscar-winning short film by Chris Wedge. Hoodwinked! 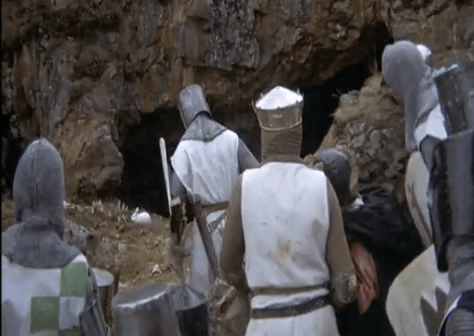 – The bunny did it! Hop – The film that almost ruined jelly beans for a generation. Jean de Florette – Set on a rabbit farm in France. The Last Mimzy – A stuffed rabbit enhances the intelligence of two children. Of Mice and Men – George describes a farm with rabbits of their own to poor Lenny. Peter Rabbit – This one should be obvious. The Rescuers – I don’t quite remember it, but there’s a rabbit apparently. Rise of the Guardians – The only film I know of to actually star the Easter bunny and allowed us to hear Hugh Jackman say “I’m a bunny” in his Australian accent. Robin Hood – The Disney version features numerous rabbit characters. The Secret Life of Pets – Kevin Hart plays a maniacal bunny of vengeance. Song of the South – Controversial film whose only merit lies in the animated Bre’r Rabbit segments. Steel Magnolias – Ends with Kevin J. O’Connor in an Easter bunny suit riding a motorcycle. Summer Wars – The fighting champion of the virtual world is a rabbit avatar. Welcome to the Space Show – This imaginative anime film is put in motion by a search for a pet rabbit. Winnie the Pooh – Let’s not forget Pooh’s over-worried pal Rabbit. 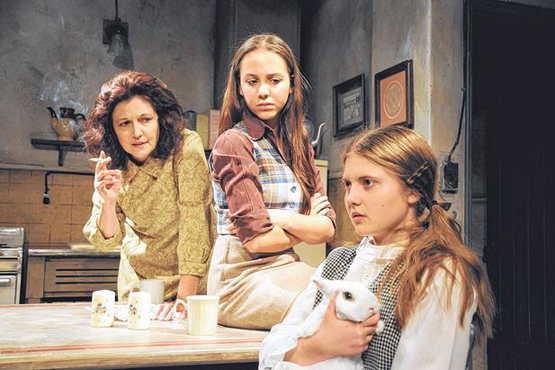 The Zookeeper’s Wife – A traumatized Jewish girl is comforted by a little bunny to hold. Even if it’s still a tad early, a Happy Easter to all! Great job covering bunnies in film and the right time to do this post! 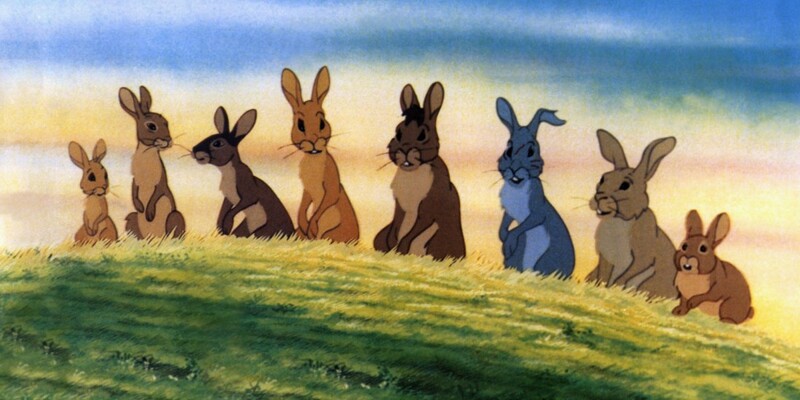 Watership Down struck a chord with me years ago, as you say it’s quite dark and not a typical kids animation. The accompanying song Bright Eyes is unforgettable. A film I’ve been meaning to revisit so this could be the push I needed. It seemed to be the right season! 😉 I hope you enjoy it as much as you remember. It really is an outlier in animation but quite a good one, and yes, “Bright Eyes” is a beautiful song.